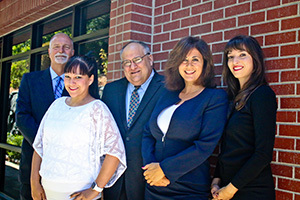 Adams & Corzine specialize in representing defendants in all manner of personal injury cases in and around the Sacramento Valley. Successful personal injury defense can be complex and stressful, and requires seasoned personal injury defense attorneys who have the knowledge and courtroom experience to protect their clients. With our office located in Folsom, the personal injury attorneys of Adams & Corzine, specialize in supporting personal injury defendants across the Sacramento Valley, whether they be corporations, professionals, associations, insurance companies, municipal and state government entities, property owners, non-profits, and high-net-worth individuals. For over 20 years, the law firm of Adams & Corzine has handled many high value and high visibility personal injury cases where plaintiffs have sought substantial damages. Our attorneys are your partner throughout the entire process of defending against a personal injury case, and will vigorously represent you in negotiations, as well as at trial, if necessary. Located in Folsom, the personal injury attorneys of Adams & Corzine are available to support all types of defendants in personal injury cases, including the communities of Sacramento, South Sacramento, West Sacramento, Midtown Sacramento, Folsom, Granite Bay, Roseville, Rocklin, Loomis, Citrus Heights, Fair Oaks, Orangevale, Carmichael, Natomas, Rancho Cordova, Rancho Murieta, El Dorado Hills, Cameron Park, Shingle Springs, Placerville, Davis, and Woodland. The lawyers at Adams & Corzine have years of experience defending those named in personal injury lawsuits. We have worked with corporations, small businesses, property owners, individual professionals and insurance companies to defend personal injury suits and protect our clients assets and livelihoods. When it comes to defending a business or individual against a personal injury action, real trial experience is key. 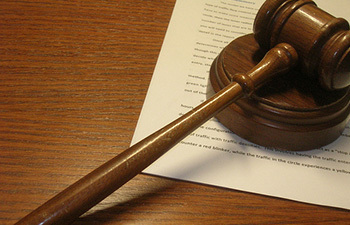 Many personal injury attorneys have little to no actual trial experience in the courtroom. The personal injury defense attorneys at Adams & Corzine have argued many cases in front of judges and juries and are well-versed in the requirements and dynamics of the courtroom. Our attorneys have background handling challenging cases and know that it is essential to understand the dynamics of your business or industry. It is our goal to thoroughly understand all of the quantitative and qualitative facts of your personal injury case so that we can provide you with the best defense possible.